onto our walls then put gold moldings surrounded each one. 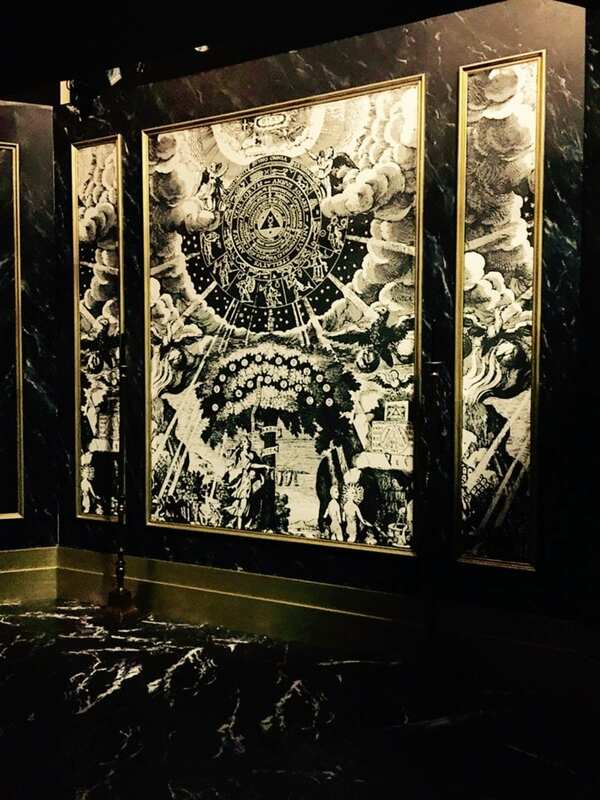 The walls in the Star Chamber were covered with 16th Century etchings of sacred geometry. we had this printed on canvas and stretched and tacked onto our walls then put gold moldings surrounded each one.